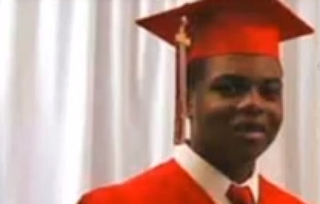 Several police officers were already working to detain 17-year-old Laquan McDonald, who was walking though the Chicago streets wielding a knife, when another police vehicle pulled up and one of its officers fired 16 shots into Laquan’s body, killing him. The FBI announced Monday that it is launching a criminal investigation into the actions of the police officer who killed Laquan last October, the Chicago Tribune reports. The officer’s name has not been released to the public. Stephen Patton, a counsel for the city, explained that footage from a police dashboard camera that captured Laquan’s killing influenced the city’s decision to settle a lawsuit with the teen’s family. Patton is recommending that the city settle with the family for $5 million; the City Council will discuss the recommendation Wednesday. During a briefing announcing the FBI investigation, Patton said that the police officer who killed Laquan claimed that he was in fear of his life because Laquan allegedly lunged at the officer with the knife. Patton went on to point out that the officer would inevitably have to explain why the other officers who were at the scene did not feel the need to shoot Laquan. Laquan’s family argues that the dashboard footage shows that he was walking away from the police vehicle when he was shot multiple times by the officer. The teen was “a ward of the state,” the Chicago Tribune reports, and was in the temporary custody of his uncle. He was enrolled at a school for troubled youths, was getting good grades and had a job.